We've been told time and time again that exposing our bodies to a little bit of sunshine is good for us. 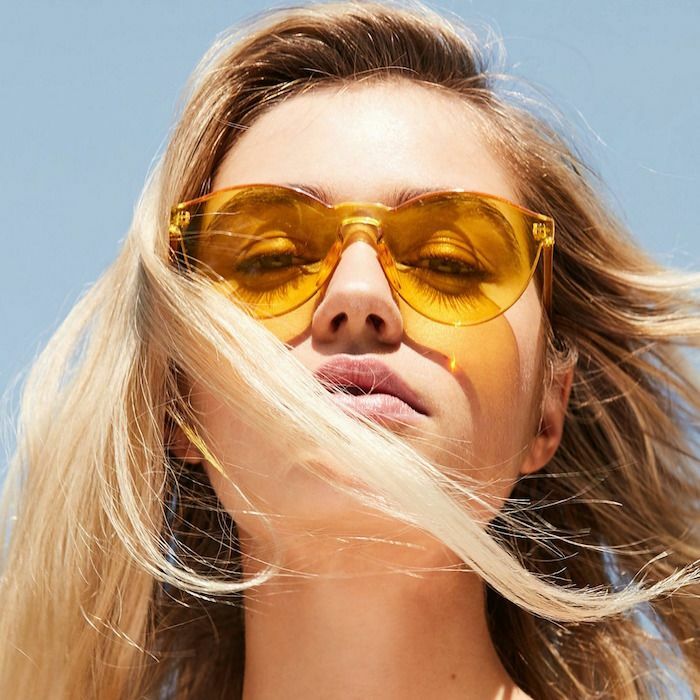 (As long as we don't bake under those UVA and UVB rays for too long without shade and sunscreen, that is—doing that is basically asking for skin damage.) After all, responsible sun exposure is touted for its ability to boost our mood and increase our physical health. But what about fall and winter when our days are much darker and colder? Come January and February, our sun exposure is often pretty limited (especially for those of us living on the East Coast and in the Midwest, where winter is three straight months of swirling snow and cloudy skies), leading to vastly diminished vitamin D levels. And according to Dana Kofsky of Wellness Styled, the consequences of vitamin D deficiency are major, and can include things as depression, anxiety, fatigue, and muscle pain. To learn more about the way vitamin D effects the body, along with the foods and supplements that can keep your levels steady, keep reading. "Vitamin D has several very important functions," Kofsky tells us. "Perhaps the most vital are regulating the absorption of calcium and phosphorus, building a healthy immune system, fighting disease, and regulating moods." That's why being deficient in the nutrient can have such far-reaching consequences, result in everything from depression and anxiety to back pain, blood sugar issues, and weight gain. Research supports vitamin D's effect on mental health, especially where depression is concerned. One study conducted in the Netherlands found that low levels of vitamin D were linked to symptoms of both major and minor depression in research participants. Another study found that supplementation of vitamin D improved participants' symptoms, resulting in better health and overall well-being. It's not just depression either. Some research indicates low levels of vitamin D play a role in heightening levels of anxiety. In fact, one study showed that children who were vitamin D deficient experienced significantly more anxiety and stress than their peers. In this way, lack of vitamin D and sun exposure could be seriously messing with your mental health. Kofsky says low levels of vitamin D can also result in fatigue and generalized weakness, and studies support this. One study in particular asked participants to rate their fatigue levels, and found that 77% of participants with chronic fatigue were vitamin D–deficient. Once their vitamin D levels were brought back to normal levels, their fatigue symptom scores improved significantly. Aside from offering amazing mental health benefits, vitamin D can also bolster your immune system (which we could all use to avoid wintertime colds and flus). Research says that low levels of vitamin D results in "increased susceptibility to infection." So maybe instead of increasing our vitamin C intake before holiday traveling, we'll supplement our immune system with vitamin D, too. If you've ever wondered why so many dairy products include extra vitamin D, that's because it increases the body's ability to absorb calcium. This is important, since calcium can only strengthen bones (and prevent chronic weakness like osteoporosis) if it's first fully absorbed. Luckily there are things you can do to stop that from happening. First, you can try to eat foods rich in vitamin D. Kofsky recommends including shiitake and button mushrooms, tuna, salmon, sardines, and eggs in your diet. There is a catch, though. "Vitamin D is very hard to absorb through food, and the only way to truly get it from the sunlight is direct light for 20 minutes a day without sunscreen," she shares. "If you believe you might need to take supplements, I would first suggest getting your blood tested and making sure it's something you're actually low on." If you're low in vitamin D (as determined by blood tests or your doctor), supplements are an effective option. "Personally, I love Pure Encapsulations Vitamin D supplements, and I would suggest starting with a low dose," Kofsky says. "Most people and clients I see can benefit from vitamin D, so if you're not getting it from the sun, it could be a great supplement to start taking!" Next, learn about PQQ, the newest buzzy supplement that seems to do everything.